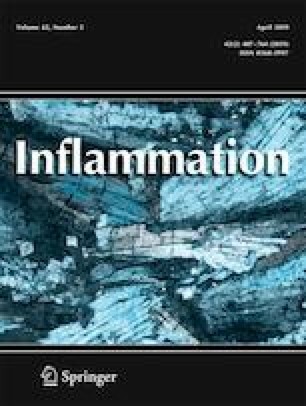 This study investigated the protective effect and underlying mechanism of action of umbelliferone (Umb) against lipopolysaccharide (LPS)-induced acute lung injury (ALI). An intragastric Umb injection prior to the administration of LPS dramatically decreased the wet/dry lung weight ratio, attenuated inflammatory cell infiltration in lung tissue, and reduced the LPS-induced production of inflammatory cytokines, including monocyte chemotactic protein-1(MCP-1), interleukin (IL)-6, tumor necrosis factor-α (TNF-α), and IL-1β, in broncheoalveolar lavage fluid (BALF). In addition, Umb resulted in significant anti-oxidative effects as shown by decreased myeloperoxidase (MPO) and malondialdehyde (MDA) activity and increased superoxide dismutase (SOD) activity compared with the LPS group. Finally, the inhibitory effects of Umb on the expression of toll-like receptor 4 (TLR4)/myeloid differentiation protein 88 (MyD88)/nuclear factor-κB (NF-κB) signaling pathway proteins were also measured. Our results clearly indicated that Umb exerted significant protective effects on LPS-induced ALI by inhibiting the activation of the TLR4/MyD88/NF-κB pathway.